From concept and shooting, through editing and post production, we deliver award-winning, broadcast quality television commercial content. Black Tent works with clients around the world to create engaging televisions commercials that drive business. 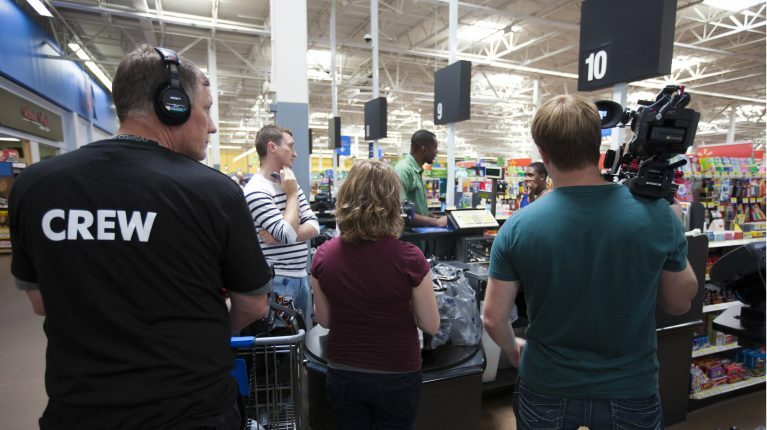 The photo above is a Cincinnati video production of a television commercial for one of the world’s largest retailers. We produce TV commercials, corporate videos, and website videos that generate sales. In addition, we provide digital video editing and post production services to a wide range of clients and industries. Our production and post production services span the globe; however, we are based in Cincinnati. We also provide video production support, video production gear and video production crews nationally and internationally. Our specialty is corporate and TV commercial production; from local businesses with moderate budgets to national clients looking for high end top quality production. 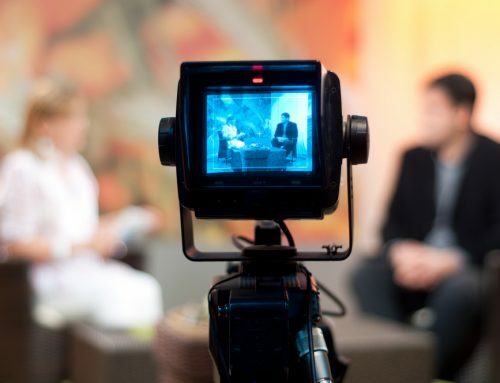 Our video production expertise spans a broad range of industries. For all these industries we have provided video production services that range from TV commercials to marketing and sales presentations both for use on location as a sales tool, as well for internet video versions for their websites. We’ll provide you and your project with personal attention, great service, state of the art gear and equipment, experienced and talented crews and production professionals, all competitively priced. Our quality and attention to detail is noticeable and set us apart from our competition in all we do. Black Tent can take your concept, script and/or story board through the entire production and post production process. We are a one stop shop based in Cincinnati, and we’re able to save time and money, no matter the size of your project. We’ll produce the project you envisioned and deliver beyond expectations! Not only will we plan and shoot your film and video project, but once production has wrapped we can edit and polish your project to perfection in our in-house post production and digital video editing suite. Having our own editing and post production suite gives us greater creative control of our projects and allows us to offer our clients complete film and video production packages that save them time and money. We’ll take care of it all for you; planning (pre-production), production, editing, audio, even original music, all from one source. We can deliver on a variety of formats; from tape to DVD, CD-Rom and internet video formats. We can also author (produce) interactive DVD’s to showcase your products and services. Looking to produce or shoot your next video project in Cincinnati, Dayton, Louisville, Lexington, or Indianapolis? We can help. We can provide film and video production services; from gear and locations to crew and on-camera talent.